The EU has set itself an ambitious social agenda in the shape of the European Pillar of Social Rights, but the biggest test will be whether decision makers will put their money where their mouths are by providing the necessary funds, writes Jana Hainsworth. Jana Hainsworth is the president of Social Platform, the largest European civil society alliance fighting for social justice. 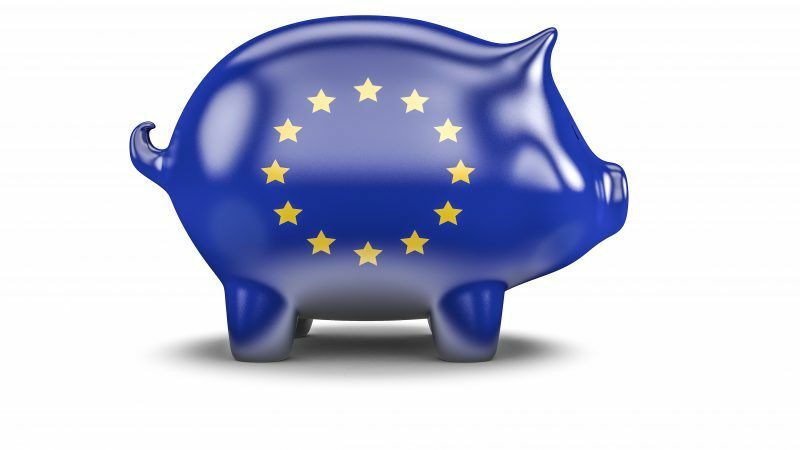 Negotiations of the EU budget can degenerate into the fierce protection of national interests, or they can offer the opportunity to stand above the parapet and look at the long-term, collective interests of the EU-27. Social Platform members, representing tens of thousands of local and national civil society organisations working with and for people who are among the most excluded in society, know very well the added-value of an EU committed to its ambition of protecting “human dignity, freedom, democracy, equality, the rule of law, and respect for human rights”. We have witnessed how the EU can catalyse reforms and be a game changer for achieving human rights and social inclusion. For example, its ratification of the UN Convention on Persons with Disabilities has bound the EU to mainstream the rights of people with disabilities throughout its work. Likewise, the EU’s regulation and monitoring efforts on EU spending of cohesion money have pushed member states to move their care and welfare systems away from institutional settings vulnerable to human rights abuses, to more individualised social and health care. The results benefit not only those with care needs and their families but society as a whole, both from a social inclusion and economic perspective. The European Commission is now drafting its proposals for the next multi-annual financial framework. Following the proclamation of the Pillar of Social Rights in November 2017, it is critical that the EU puts its money where its mouth is. Realising its three objectives – equal opportunities and access to the labour market; fair working conditions; social protection and inclusion – will not happen without concerted effort. Careful planning and preparation of EU funding programmes will be key. Part of the solution is to improve coherence and management of the EU budget as a whole. There should be tighter links between EU funding and implementation of EU values and objectives. Accountability of spending needs to move away from bureaucratic and burdensome administrative processes towards measuring impact. Beneficiaries need more flexibility during implementation to adjust activities to reality. There needs to be more openness to learning from mistakes, rather than the current EU obsession for documenting good practices. Finally, all EU spending programmes need to be assessed for their social impact; too often the EU has invested in infrastructure or economic development projects with little or no regard for how different population groups are affected, in particular, the most vulnerable. On 15 and 16 February, the Bulgarian Presidency hosts an important conference on ‘Investing in People’- a timely moment to take stock of learning from past funding through the European Social Fund (ESF) and the Fund for European Aid to the Most Deprived (FEAD). Social Platform sees the successor to these instruments as key to the delivery of the Pillar of Social Rights. Although EU money can only ever be a drop in the ocean compared to social spending as a whole and shouldn’t replace national spending commitments, it can be a powerful catalyst for reform. It should not only look at employment but rather address drivers of social exclusion more broadly, encompassing a range of social standards including adequate income support and universal access to quality services. We would argue that tackling homelessness, ending child poverty and developing long-term care solutions is probably more important to Europe’s future prosperity than short-term jobs creation. Commissioner Thyssen refers to the Pillar of Social Rights as a “compass”. But for it to meaningfully guide future policy across the EU, it needs an ambitious vision for implementation, funding and accountability mechanisms. The next EU budget will be a critical piece of the puzzle.